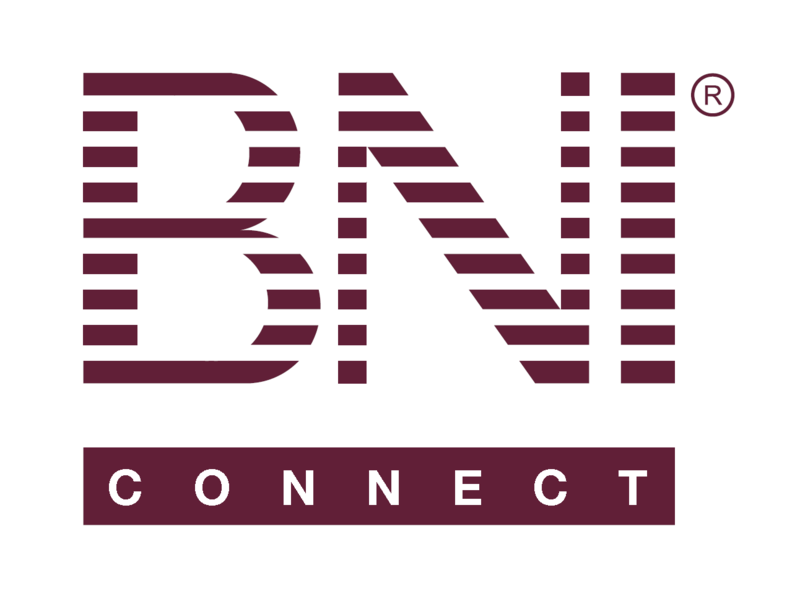 BNI Slips Program Overview – BNI Connect & BNI University Support - How Can We Help You? BNI has created mechanisms to measure and track members’ success and activity. Combined, we call this the BNI Slips Program. Individually, the program consists of tracking One-to-One meetings, Networking Education, (CEU’s) Referrals, and closed business, (TYFCB). We have 2 ways for members to report their activity, through paper slips that can be filled out and passed at a weekly chapter meeting, or online slips that can be entered through BNI Connect during the week preceding the chapter meeting. Paper Slips: Paper slips are to be completed before the meeting and handed in during the referral and testimonial portion of the meeting. The slips will be collected by the chapter Vice President and input manually into BNI Connect following the meeting. Note that only statistical information about the activity will be recorded when utilizing the paper process. Instructions for how to input the PALMS in BNI Connect can be found here. Online Slips (preferred): Members may enter their activity into BNI Connect using the online slips process. All slips entered during the time between meetings will automatically be input into the upcoming week’s PALMS report for the Vice President to review and approve. In addition to the statistical information, the full details of the transaction will be available for the member to review through BNI Connect. The member may also make changes to the details of each slip up until the time that the PALMS is approved and officially submitted by the Vice President. When submitting slips online, members should continue to announce and celebrate their weekly activity during the referral and testimonial portion of the meeting, though for most activity a paper slip is no longer necessary. The member may utilize the “Print Your Weekly Slips” function to turn in a paper referral to be included in the door prize drawing for that week’s meeting. Following is a sample of the actual form and a purpose and explanation as to why we track this information. Followed by step-by-step instructions for completing both the paper slips and the online version. Purpose: One-to-Ones are key to relationship building and learning how to pass referrals to your members. We track this information to measure the commitment level of members to gain the knowledge and develop a comfort level to generate referrals. Paper Slip Process: The member who initiated the One-to-one should be the person completing the form and is responsible for submitting it to the Vice President at the chapter meeting following the One-to-one appointment. The paper form will be light blue in Color, a single sheet pad form and the same size as the referral slip. The Vice President will credit in BNI Connect each member who was present at the one-toone. Recommended reporting: This process may vary by region. Turning in the One-to-one forms to the Vice President can be done before, during or immediately after the weekly chapter meeting. Online Slip Process: Only one member of the 1 to 1 pair needs to input the slip online, usually the person who initiated the meeting. The online slip may be entered at any time between chapter meetings, but must be completed before the end of the chapter meeting to be counted for the current week’s PALMS report. To fill out the form, click on the “Submit 1 to 1 Slips” link on the My BNI Business screen and complete all necessary fields. For detailed instructions for the online 1 to 1 slips, click here. Note: This does increase the number of One-to-ones done in the chapter, but it is important to recognize and give credit to each member. The One-to-one reporting program is NOT to be used verbally as a replacement for giving a referral or a testimonial. Purpose: There is a direct correlation between networking education you complete and revenue you generate from referrals. We track this information to measure a member’s engagement in networking education to further enhance success as well as contribute to the success of others in the chapter. Paper Slip Process: The member who completed the credits should complete and submit the form to the Vice President at the chapter meeting. Remember to put your name and date on the form and include all CEU’s completed since the last form you submitted. This form will be goldenrod in color, a single sheet pad form and the same size as the Referral Slips. The Vice President will then input the credits in BNI Connect to the individual whose name is on the form. Recommended Reporting: This process may vary by region. Turning in the CEU forms to the Vice President can be done before, during or immediately after the weekly chapter meeting. The CEU reporting program is NOT to be used verbally as a replacement for giving a referral or a testimonial. Online Slip Process: The online slip may be entered at any time between chapter meetings, but must be completed before the end of the chapter meeting to be counted for the current week’s PALMS report. To fill out the form, click on the “Submit CEU Slips” link on the My BNI Business screen and complete all necessary fields. The member should input the quantity for each course completed, the total number of credits will be calculated automatically. For detailed instructions for the online CEU slips, click here. Purpose: Referrals are the basis of BNI. Members join and stay in BNI based on the opportunity to generate referrals for their business. Tracking referrals is the starting point for members to measure the impact BNI has had on their business. Referral slips are used to 1) report and track referrals members pass and to 2) record when a member has a 1st time visitor attend. Completion: Complete all the information on the slip, including whether the referral is an “inside” or “outside” referral and how the member should contact the referral. The “White” copy should be passed to the member, the “Pink” copy should be turned in to the Chapter Vice President, and the “Yellow” copy you should keep. The Vice President then inputs the referral in BNI Connect. Note: 1) Complete the form with as much information you want to when receiving a referral. 2) Use your “Yellow” copy to use as a follow up to ensure your referral was contacted and how you can further assist in turning the referral into closed business. Recommended Reporting: During the “I Have” portion of the meeting, the member should announce the referrals they have and give the “Pink” copy to the Vice President. Getting the Vice President the “Pink” copies may vary from region to region. Online Slip Process: The online slip may be entered at any time between chapter meetings, but must be completed before the end of the chapter meeting to be counted for the current week’s PALMS report. To fill out the form, click on the “Submit Referral Slips” link on the My BNI Business screen and complete all necessary fields. Once the referral has been input, the member for whom the referral is intended will immediately receive an email notification with the details of the referral as well as the contact information of the member giving the referral. For detailed instructions for the online referral slips, click here. Purpose: Thanking and recognizing members who pass referrals is a key component to a successful networking program. This form is used to recognize and thank members who passed referrals that turned into business. It also allows members to track revenue they received from completed business generated from a BNI referral. Completion: This should be completed by the member who closed the business. “Thank you to:” is the member that gave the referral that resulted in closed business. See the “purpose” section of this document for definition of what $ amount is to be reported. This form will be light green in color, a single sheet pad form and the same size as the Referral Slips. The Vice President will then input the $ amount in BNI Connect to the individual whose name is on the “Thank you to” line. Note: By assigning this amount to the person who gave the referral resulting in the business, this will preserve confidentiality of each individual’s income. In addition, this will show each member’s value as a “referral giver” to the other members of the chapter. Recommended Reporting: Members turn in the “Thank you for closed business” forms in the same way they turn in the referral slips during the referral portion of the meeting. Note: The Thank you for closed business reporting program is NOT to be used verbally as a replacement for giving a referral or a testimonial. Online Slip Process: The online slip may be entered at any time between chapter meetings, but must be completed before the end of the chapter meeting to be counted for the current week’s PALMS report. To fill out the form, click on the “Submit TYFCB Slips” link on the My BNI Business screen and complete all necessary fields. In the case of TYFCB, only the person being given credit for generating the TYFCB (the Giver) will be identified in the PALMS report, the person who received the income will remain anonymous. For detailed instructions for the online TYFCB slips, click here. Bankers do not get compensated based on the actual business they generate. Please follow the below definitions to report closed business for non-commissioned referrals to banks. BNI HQ has updated the SLIPS program regarding Bankers so that the deposits are recorded as Closed Business as 10% (just like Lines of Credit). This page above still has the old amount (the whole amount). Thought you might want to update it here too. HOWEVER, this is an AWESOME tool in addition to the pdf on Documents!! Jeremy, do you have a new version of the online slips program hand out. I know it is some where and can't find. Thank you in advance for the direction. Still trying to figure out how to enter a referral. That should be the easiest thing to find on the website! Where can I find the printable download for the slips? specifically tyfcb. The slips are available online on your landing screen. Downloadable format of any slip, including TYFCB is a controlled item at your Regional office level, as it is used for printing the said slips to supply to chapters. I added an on-line referral but I now need to delete it. How do I do that? How do I enter thank yous for former members of the chapter? We used to have this option, but now I only see members, visitors and "BNI" Should we add up all former members and cross chapter thanks in that field? You can either edit or delete accordingly. Elizabeth Moffett, yes you can lump all up in BNI (for business received from BNI Directors, substitutes, former members) and Visitors for business received from visitors. Is it possible to print out a TYFCB slip to pass around at the meeting? Or, do we still fill out the old ones? If you have already entered TYFCB online, then there is no need to fill in the paper slips, as it might cause a double entry of the same. As long as you have submitted it, it will be recorded accordingly. And remember you can always track this from your own login. There needs to be a navigation class so we can find out where to input online slips. I found it one time, made and entry and then after several days I could not find it again. Re: Banking thank you... I may open an account with $100, and be thanked for $10 according to the guidelines. Next week I deposit $10,000... Is this taken into consideration in any way? The bank is certainly deriving income from the additional funds I deposit, and somehow it seems as this should be taken into consideration. For example, say I opened an account with $250, many years ago. In the 1990's I did very well in the stock market, and in the course of 25 years put over 2 million dollars into that account, and had a fairly large balance for about 10 years. How is this considered? Where do I go to see where I am in the power of one? I am working to improve my score and want to see where I am. Where do I find the points allocation for CATS & what does CATS mean? How do I order more Referral Slips? Ms. Elizabeth J. Moffett's question from Jun 6 had not been answered, and I wondered the same thing. Apologies - Thank You's for former members should be entered using the "BNI" option at the bottom of the drop down. Who should use the BNI Member Commitment Report? This report is for everybody in the Chapter, but in particular the Leadership Team and the Membership Committee. Great Membership Committees are concerned about the level of activity of members and results they are getting. Best practice involves looking at this report to get a sense of who is doing great, and who needs mentoring and support. Everybody in the Chapter needs to contribute and it is the Chapter Leaders responsibility to make sure everyone get assistance and support when needed. In BNI we look after our own! What are the Fives, Sixes and CATS columns? These are measures of member commitment to Givers Gain® over a rolling 6 month period. We know that closed business is the goal, but how do we get there? We get there by members attending the weekly BNI event. We get there by doing great 121s with our fellow members. We get there by inviting Visitors and introducing them to BNI and to the members of our Chapter. How are the FIVES calculated? The Fives column in the BNI Member Commitment Report is calculated as follows: Attendance + Substitutes – Late – Absent + Visitors + Referrals GIVEN + 121s (Dances). The period covered is 6 months of activity. Generally speaking Chapters require members to achieve a FIVES score of 50+ over 6 months, but that’s up to Membership Committees to decide for themselves what is appropriate! How are the SIXES calculated? What do you mean by “the SIXES inform the FIVES”? It is great when someone demonstrates commitment by being active, but unless we take results into account when assessing someone’s performance we may miss the opportunity to help that person be active and great at the same time! Ideally someone REALLY active is doing so with great skill, and is getting result for the members! This is why we say the SIXES inform the FIVES. BNI Chapters with members that want to be held accountable for their activity and commitment to Givers Gain® are those that make the most closed business, and CATS stands for Chapter Accountability Tracking System. CATS was developed by the members of BNI because they are really serious about getting result for their members. - Plus 1 for each 121/Dance. - Plus 1 for every Internal Referral. - Plus 1 for every 1 Thousand Dollars of Closed Business given credited to the member. - Plus 2 points for every External Referral. - Plus 2 points for every Visitor recorded against the members’ name on the PALMS. - Less 2 points for each Absence without a substitute. How should the BNI Member Commitment Report be used? Great practices include sharing the report each month at the weekly BNI event. This report is definitely useful when assessing Chapter Health and the performance of members in the Chapter, and is used extensively by Membership Committees for planning purposes. We recommend you also bring any matters of concern to the attention of your BNI Director so he/she has an opportunity to contribute! Great I know how to do it but I can't find the landing page to do it on. Thanks for this nice page it is pretty but worthless. I saw this some place before but can't find it. If I refer an individual to a member, that is a referral. Any business after that becomes a TYFCB. Correct? Would there ever be a second referral for the same two people? We have a member who is in the travel industry and actively uses Connect to pass and receive referrals. She is complaining that she cannot do this cross regionally and internationally online. Is this facility available yet? Debbie Coladonato has tried several times to enter a large TYFCB (about $12,000) which I gave her. She tried on her cell. I tried doing it for her on her cell. And she has tried entering it on her computer at home. It does not show up in our PALMS, in my TYFCB, or anywhere that we can find.